Simple, clever device. 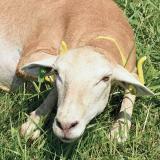 Immobilizes adult sheep and goats by holding neck and front legs alongside each other. To take the "fight" out of lambing & kidding females when you need to intervene and/or leave the animal to go for extra supplies. Nearly as useful as a 2nd person (but less expensive and less interesting). For transporting individual animals on ATV's and ATV trailers. For adult sheep and goats. Easy to carry by hand, waist belt, ATV, motorbike or horse. Safe to use. In 20 years, very few have ever broken. 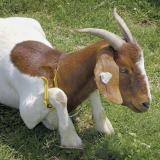 Leg crooks are best for goats because goats prefer to face you--so if you wish to catch them in a pen, it works best to do so by snagging a front foot. An all-around good crook for handling sheep. Lightweight for quick handling. Aluminum Tube RedCote™ Crook, 54 in. Used for grabbing animals as they are passing by or singling one out of a group. Handles well. Wooden neck crook preferred for herding dog trials. Light in hand. Nearly essential for herding sheep. Has both a neck and leg crook for catching sheep and goats. Lightweight for quick handling. Hands-free hang-up management guide. Helpful charts, illustrations and procedures. 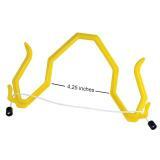 Number of reviews: 7 customers reviewed this product. Recommended: 4 out of 7 said they would recommend this product to a friend. I bought both the large and the small, I am a mixed animal veterinarian as well as a sheep & goat farmer... Well, my 50% of my Katahdins come right out of this thing. The small is too small and the large is too big for my ewes. 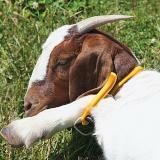 I also have Nubians, they seem to be more agreeable to the device, but they do not love it. Mine have not broken and they have seen some wretched ram / buck fights, so in my temperatures of use, it has proven sturdy, but only the bigger rams seem to give up to the device after a hard struggle. I generally work the animals by myself, so this is useful, but I have to get creative to make it actually stay on and in place. I have used them on farm calls and not had much problem with them on Babydolls, Dorper, Cheviot, Suffolk, etc... they were all much better behaved in the Gambrel than mine, they also had much thicker coats and were worked with an assistant to help calm them. SO, I will neither recommend nor dissuade anyone from trying one, they are about the cost of a dinner in town, so you're not out much if you try one and don't like it. I don't love mine yet, but I am keeping them, they aren't my go to restraining device. Worked just as advertised when I needed it for a ewe while lambing. 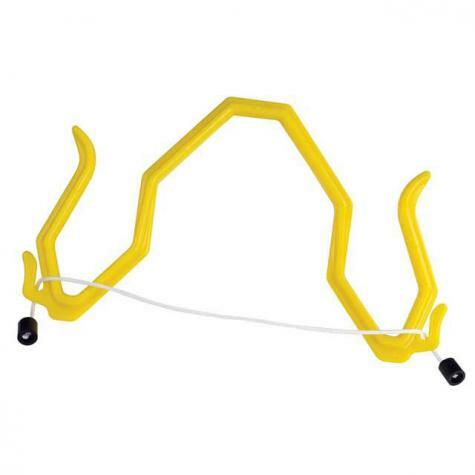 But mine broke when used while treating a ewe with a sore ear. She was not impressed and had the umph to prove it. Got less than a year out of it, can't decide whether to buy another one or not. Easy to use, affordable, reliable. Not very often that you find a product that does exactly what it says it will do. This restrainer WORKS.